The Red Cross is a humanitarian movement with approximately 97 million volunteers, members and staff worldwide which was founded to protect human life and health, to ensure respect for all human beings, and to prevent and alleviate human suffering. The movement consists of several distinct organizations that are legally independent from each other, but are united within the movement through common basic principles, objectives, symbols, statutes and governing organizations. The National Marrow Donor Program (NMDP) is a nonprofit organization that facilitates life-saving blood stem cell transplant patients who do not have a donor in their family. We provide the products and services that bring patients and donors together through life-saving technology. We manage the world’s largest registry of volunteer stem cell donors and cord blood units. We are to increase access to transplantation through research, advocacy, and public and professional education. 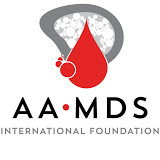 The Aplastic An emia and MDS International Foundation supports, connects and educates patients, caregivers and health professionals on bone marrow failure diseases worldwide. It promotes and invests in collaborative clinical research to accelerate the discovery of better treatments and cures for aplastic anemia, MDS, PNH and related bone marrow failure diseases. The United Network for Organ Sharing (UNOS ) is a non-profit, scientific, and educational organization that administers th only Organ Procurement and Transplantation Network (OPTN), established by the U.S. Congress in 1984. Whole Kids Foundation is a charitable organization that provides children with access to healthy food choices through partnerships with schools, educators and organizations. The Give Life Foundation is a 501 (c)(3) charitable non-profit organization. By law the tax-deductible amount allowed for a, contribution to The Give Life Foundation is limited to the excess of the contribution above the value of any goods or service from the Give Life Foundation. The organizations listed above are not affiliated with the Give Life Foundation and currently endorsed any of its activities.